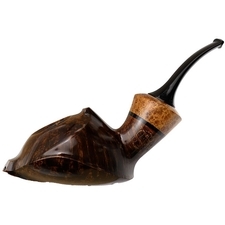 Outside of Todd Johnson's Ball and Cup (which alludes to the look of an old children's toy), the type of ridge employed here, visually separating the bowl and shank while providing a termination point for the teardrop's line, isn't one we see too often. 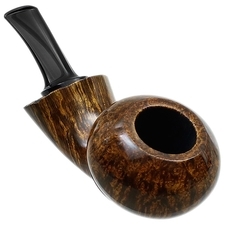 The reason for that is likely its difficulty to execute properly, as opposed to say a simpler continuation of the shank's teardrop line. 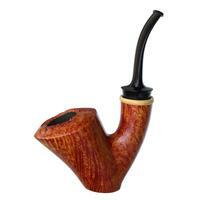 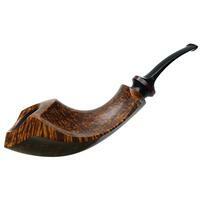 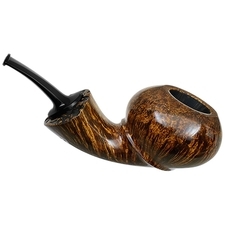 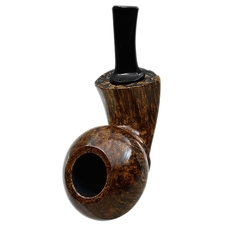 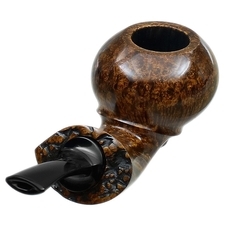 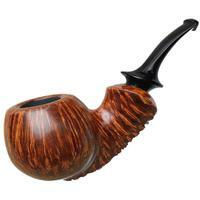 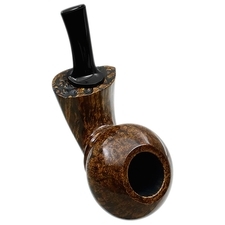 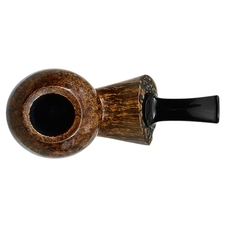 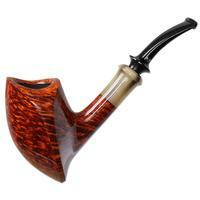 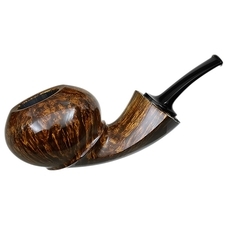 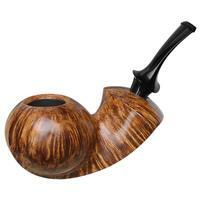 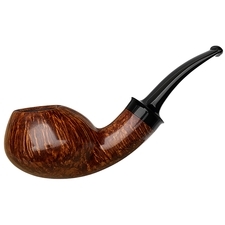 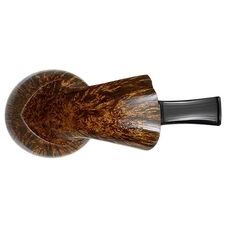 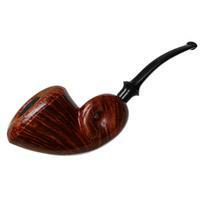 You see, if a flaw is discovered when shaping the transitional ridge, quite a bit more briar has to be shaved from the entire bowl just to bring the ridge back into relief, altering the entire central focus of the shape itself. 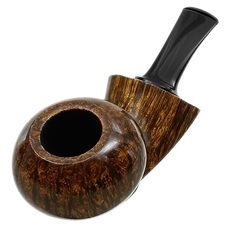 Scott Klein has executed this challenging cue splendidly here, pairing it to a lively, upward-flicking shank sporting a pronounced flare, along with a shank-face of handsome, partially polished plateau.